ARRL has taken a minor exception to the wording of a September 24 FCC Enforcement Advisory pertaining to the importation, marketing, and sale of VHF and UHF transceivers and is in discussion with FCC personnel to resolve the matter. The Enforcement Advisory was in response to the importation into the US of certain radio products that are not FCC certified for use in any radio service, but identified as Amateur Radio equipment. "While much of this equipment is actually usable on amateur bands, the radios are also capable of operation on non-amateur frequencies allocated to radio services that require the use of equipment that has been FCC certified," ARRL said. "Such equipment is being marketed principally to the general public via mass e-marketers and not to Amateur Radio licensees." ARRL said the upshot is that the general public has been purchasing these radios in large quantities, and they are being used on the air by unlicensed individuals. "Radio amateurs have complained of increased, unlicensed use of amateur allocations by people who are clearly unlicensed and unfamiliar with Amateur Radio operating protocols," ARRL said. But while it supports the general tenor and intent of the Enforcement Advisory, ARRL said it disagrees with the FCC on one point. "In several places, the Enforcement Advisory makes the point that 'anyone importing, advertising, or selling such noncompliant devices should stop immediately, and anyone owning such devices should not use them,'" ARRL pointed out. 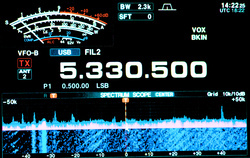 "The Advisory broadly prohibits the 'use' of such radios, but our view is that there is no such prohibition relative to licensed Amateur Radio use -- entirely within amateur allocations -- of a radio that may be capable of operation in non-amateur spectrum, as long as it is not actually used to transmit in non-amateur spectrum. ARRL has had extensive discussions about this issue with FCC Wireless Bureau and Enforcement Bureau staff, and those discussions are ongoing. "It is important to protect the flexibility of the Amateur Service as essentially an experimental radio service, but it is also very important to stop the unlawful importation and marketing of illegal radios in the United States and the use of those radios by unlicensed persons," ARRL maintained. "We will keep our members informed as our discussions with FCC on this subject continue." Following a devastating 7.7-magnitude earthquake and tsunami in Central Sulawesi Island in Indonesia, on September 28, members of International Amateur Radio Union (IARU) member-society ORARI and other volunteers have been providing emergency communication for community and government interests. The quake and tsunami destroyed the city of Palu, completely cutting power and telecommunications. New IARU Region 3 Disaster Communication Coordinator Dani Halim, YB2TJV, said Amateur Radio operators in Indonesia immediately responded to the unfolding disaster, establishing an emergency net on 7.110 MHz. Amateur Radio volunteers from other regions also pitched in to support radio communication for emergency news on 7.110 MHz and 7.065 MHz. ORARI has asked that radio amateurs not involved in the emergency response avoid those frequencies. ORARI also activated the LAPAN-ORARI IO-86 satellite as a backup communication channel. Some radio amateurs with mobile stations have traveled to the affected region to help. According to Budi Santoso, YF1AR, on Java Island, the local Palu ORARI representative Ronny Korompot, YB8PR, was among the first contacted. Through his mobile station, he reported on conditions and the response, including evacuations. Sutrisno Sofingi, YB8NT, was also heard on 7.110 MHz using an emergency station he assembled at the disaster site. He said Amateur Radio was the only available communication with the outside world. Amateur Radio also has assisted government agencies following severe damage to the telecommunication infrastructure. Hams operating on 2 meters were communicating information on which roads were open to allow traffic from the outside. Halim reported that communication was established from the Luwuk Disaster Management Agency some 430 miles from the earthquake's epicenter to obtain information on landslides and blocked roads and highways. Salmin Sahidin, YB8IBD, in Southeast Sulawesi has been live streaming audio of the activity on 7.110 MHz via his Facebook page. "Volt-Ohm Meters" is the topic of the current (September 27) episode of the "ARRL The Doctor is In" podcast. Listen...and learn! Every 2 weeks, your host, QST Editor-in-Chief Steve Ford, WB8IMY, and the Doctor himself, Joel Hallas, W1ZR, will discuss a broad range of technical topics. You can also email your questions to doctor@arrl.org, and the Doctor may answer them in a future podcast. Enjoy "ARRL The Doctor is In" on Apple iTunes, or by using your iPhone or iPad podcast app (just search for "ARRL The Doctor is In"). You can also listen online at Blubrry, or at Stitcher (free registration required, or browse the site as a guest) and through the free Stitcher app for iOS, Kindle, or Android devices. If you've never listened to a podcast before, download our beginner's guide. Just ahead: "Winterizing your Station." The ARRL website will update its security software on October 15 to meet standards required to continue accepting credit cards for internet purchases. "For the vast majority of our members, there will be no impact other than a guarantee of better security when logging into and making purchases on the ARRL website," said ARRL Headquarters IT Department Manager Mike Keane, K1MK. "Only those using old browsers or outdated operating systems will encounter a browser error message when trying to log in or make a purchase on the website." The vast majority of our website users will not have to take any action. Most modern browsers and operating systems will not be affected by the change, as they already support the new security standards. If you are affected, go to your browser vendor's website and download an up-to-date version of your browser. To check if your browser will be affected by this change, you can use the site How's My SSL? This will advise you of your browser's version. "We know it is common for some radio amateurs to keep older computers for logging or radio control," ARRL Marketing Manager Bob Inderbitzen, NQ1R, observed. "If the computer is connected to the internet, ARRL recommends that users keep their computers up to date in terms of operating system, software updates, and hardware to protect you and your personal information from online security vulnerabilities." 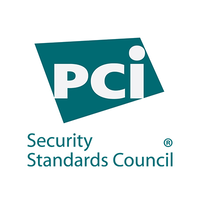 In order to comply with PCI Security Standards Council requirements, all payment processors, merchants, service providers, and other stakeholders must use TLS 1.1 or higher to ensure the transmission and receiving of secure communications. TLS is a cryptographic protocol that provide authentication and data encryption between different endpoints (e.g., a client connecting to a web server). On October 15, ARRL will disable support for the outdated TLS 1.0 protocol. Visitors seeing an error message need to update their browsers to a version that supports TLS 1.1 or higher. ARRL is making this change to ensure that we are adhering to best industry practices, thereby providing our members, our clients, and other website visitors with a higher level of security for their browsing sessions. "This the same thing that every other website that requires a username and password or accepts credit cards is doing or has already done," Keane said. "We're meeting an industry security standard." "Black Swan 18" is a communications exercise aiming to test how well responders, emergency management agencies, and non-government organizations (NGOs) activate, operate, and complete communication missions, specifically in terms of the volume, accuracy, and speed of radio traffic. The scenario for the October 4 - 10 Black Swan 18 will be a series of winter storms and associated events. ARRL Field Organization teams have been invited to adapt this activity as the basis of their annual Simulated Emergency Test (SET). Operational periods by participating organizations should not exceed 48 hours. "In a high-impact disaster, response will need to include many organizations bringing their unique expertise and resources to bear in a coordinated fashion," the Black Swan 18 announcement explains. "Black Swan 18 will test this ability to operate across geography and among complementary organizations. Cooperating forces include the Ohio Military Reserve (2nd Battalion), the ARRL Ohio and Iowa sections, and Air Force MARS." For this exercise, communication between US government radio stations and Amateur Radio stations is authorized on the five channels at 5 MHz where the Amateur Service has secondary status. Exercise communications must yield to real-world emergency communications. Interoperability will remain in effect for the duration of the exercise. 1. "Build-Up" is October 4 - 5, when organizations involved in preparation for large events or response to localized emergencies may wish to participate. 2. "Intense Action" is October 6 - 7, when most organizations will be establishing operating stations and handling radio traffic in support of emergency preparation, response, and recovery. Organizations that cannot participate during the "Intense Action" timeframe may run their own exercises in any 48-hour window during the scenario. 3. "Recovery" is October 8 - 10, when organizations preparing for and engaged in recovery operations may wish to participate. Localized severe weather events and effects may cause activation in the week before or the week after the scheduled timeframe. Ohio Military Reserve will provide exercise controllers on SHARES stations NNO5HA, NNO5HD, and NNO5HG. This activation has been approved by the FEMA Spectrum Manager. AMSAT reports that Vice President-Engineering Jerry Buxton, N0JY, delivered and integrated its Fox-1Cliff CubeSat into the launch vehicle on September 24, in preparation for sending it into orbit later this year. AMSAT has purchased a commercial launch opportunity for Fox-1Cliff and has been seeking contributions to cover its costs. The Fox-1Cliff CubeSat was named in memory of longtime AMSAT member, contributor, and benefactor Cliff Buttschardt, K7RR (SK), who died in 2016. "This is the last step for AMSAT Engineering in getting one of our satellites to orbit," Buxton said in a YouTube video that explains what is involved in the final step of getting an Amateur Radio CubeSat to orbit. He explained, "Spacecraft integration is the process of mounting the spacecraft on the launch vehicle." He pointed out that a spring-loaded "dispenser" propels the CubeSat into orbit from the launch vehicle. Fox-1Cliff will have FM voice uplink frequencies of 435.300 MHz and 1,267.300 MHz (67.0 Hz CTCSS tone), and FM voice and AFSK digital data (up to 9,600 bps) downlink on 145.920 MHz. The nominal transponder power is 600 mW. Because only one uplink frequency can be active at a time, use of the Mode L uplink is limited to experimental periods announced in advance. Fox-1Cliff carries the flight spare of the AO-85 Vanderbilt University Low Energy Proton (LEP) radiation experiment, and the standard Fox-1 Penn State University-Erie gyroscope experiment. Virginia Tech provided a VGA camera, which is the same as the camera onboard AO-92 offering 640 × 480 image resolution. These non-SSTV images will be decoded in the FoxTelem software. Unlike the other three Fox-1 FM spacecraft, Fox-1Cliff does not have an active AFC on the uplinks. Fox-1Cliff's Subaudible Telemetry (low-speed telemetry) will be the same as that on AO-85, AO-91, and AO-92. It will be supported by the same FoxTelem software already released. Buxton said Fox-1Cliff will share dispenser space with ExseedSat-1, a CubeSat built by an eight-person team at Exseed Space Innovations Private Limited, based in Hyderabad, India, and co-founded by Ashhar Farhan, VU2ESE, the designer of the µBitX SSB/CW transceiver. Farhan and engineer Gurudatta Panda, VU3GDP, were on hand for the integration. ExseedSat-1 carries an Amateur Radio FM transponder and APRS digipeater, with a repeater, digipeater, and telemetry downlink of 145.900 MHz FM, and a repeater and digipeater uplink of 435.340 MHz. Progress toward the launch of the Es'hail-2 geostationary Amateur Radio satellite was reported as AMSAT-DL held its annual symposium on September 29 at the Institute for Environment and Future Research (IUZ) Bochum Observatory in Germany. Es'hail-2 is set to go into space this fall or early winter aboard a SpaceX vehicle; a specific launch date is not available. AMSAT-DL President Peter Gülzow, DB2OS, and Achim Vollhardt, DH2VA, reported that AMSAT-DL recently finalized the individual components for the Es'hail-2 ground station in Doha, Qatar. "Last week, we finished the work and made the equipment ready to ship," Gülzow said. The components are to be installed in Qatar in the near future. A second facility at the Qatar Amateur Radio Society (QARS) in Doha will serve as a backup, while a third ground station will be installed at Bochum Observatory. Es'hail-2 will offer two AMSAT-DL-designed Phase 4 Amateur Radio transponders operating in the 2.4 GHz and 10.450 GHz bands. A 250 kHz bandwidth linear transponder is intended for conventional analog operation, while an 8 MHz bandwidth transponder will provide experimental digital modulation schemes and DVB digital amateur television (DATV). Both transponders will be equipped with antennas capable of providing full coverage of about one-third of Earth's surface. "We hope to be able to present live broadcasts in DATV at the next HAM RADIO [in Friedrichshafen], June 21 - 23," Gülzow said. 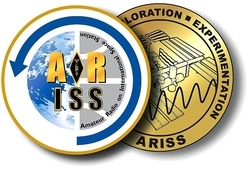 AMSAT-DL has been offering technical assistance on the Es'hail-2 project. 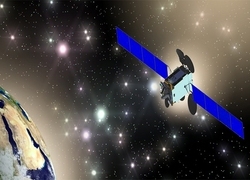 The commercial Qatari satellite will provide the first Amateur Radio geostationary communication and will be capable of linking amateurs from Brazil to Thailand. Researchers at Drexel University's College of Engineering report a breakthrough in nanomaterials technology that promises to make installing an antenna as easy as applying sunblock or bug spray. The University reported the research in a DrexelNOW article, "Drexel's Spray-On Antennas Could Be the Tech Connector of the Future." The advance could mean wearable and invisible antennas that could find their place in the next generation of the Internet of Things (IoT), and even have Amateur Radio applications. "The ability to spray an antenna on a flexible substrate or make it optically transparent means that we could have a lot of new places to set up networks," said Drexel Wireless Systems Laboratory Director and engineering professor Kapil Dandekar, a co-author of the research published recently in Science Advances. "This technology could enable the truly seamless integration of antennas with everyday objects, which will be critical for the emerging Internet of things," Dandekar said. In their paper, Dandekar and his colleagues laid out a method for spraying invisibly thin antennas made from a type of two-dimensional metallic material called MXene -- a conductive, two-dimensional titanium carbide material -- which can be dissolved in water to create an ink or paint. They said the exceptional conductivity of the material enables it to be employed as an RF radiator, even when applied in a very thin, nearly invisible coating. The MXene antennas perform as well as those now being used in mobile devices, wireless routers, and other devices, the Drexel researchers said. In addition, the MXene materials were shown to be 50 times better than graphene and 300 times better than silver ink antennas in terms of preserving the quality of RF transmission. "Current fabrication methods of metals cannot make antennas thin enough and applicable to any surface, in spite of decades of research and development to improve the performance of metal antennas," said Yury Gogotsi, Ph.D., director of the A.J. 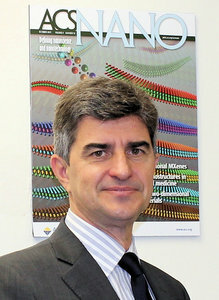 Drexel Nanomaterials Institute, who initiated and led the project. "We were looking for two-dimensional nanomaterials, which have sheet thickness about 100,000 times thinner than a human hair; just a few atoms across, and can self-assemble into conductive films upon deposition on any surface. Therefore, we selected MXene as a candidate for ultra-thin antennas." "The MXene antenna not only outperformed the macro and micro world of metal antennas, we went beyond the performance of available nanomaterial antennas, while keeping the antenna thickness very low," said Babak Anasori, a research assistant professor in the A.J. Drexel Nanomaterials Institute. "The thinnest antenna was as thin as 62 nanometers -- about a thousand times thinner than a sheet of paper -- and it was almost transparent." Peggy Sue Gerron, ex-K5PSG, of Lubbock, Texas, who inspired singer Buddy Holly's 1957 rockabilly hit "Peggy Sue," died on October 1. She was 78. First licensed in 2004 as KE5AKW, she later obtained the vanity call K5PSG. Her license expired in 2014, and K5PSG has since been reissued. Gerron went to high school with Holly and later married The Crickets drummer, Jerry Allison. As rock 'n' roll history has it, Holly originally titled the song "Cindy Lou," but Allison convinced the singer to change the tune's name to "Peggy Sue." In a 2004 interview, Gerron said that story is close to the truth, but not entirely accurate. After Holly's death in 1959, Gerron toured with The Crickets when the band got back together. Over the years, Gerron made public and media appearances all over the country. She said her participation in the 2004 W5B special event in Lubbock commemorating Holly helped inspire her Amateur Radio aspirations. "You can do TV specials, and you can be interviewed by the very best DJs," she said, "but there is nothing like the feeling of putting your finger down, and transmitting your call sign, and having somebody answer back." A radio amateur is among the International Space Station crew returning to Earth. Flight Engineer Ricky Arnold, KE5DAU, will join Expedition 56 Commander Drew Feustel and Flight Engineer and Soyuz Commander Oleg Artemyev on an October 4 return voyage to Earth after more than about 6 months in space. They will travel in a Soyuz MS-08 spacecraft heading for a parachute-assisted landing on the Kazakh Steppe some hours later. 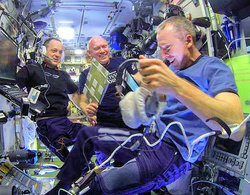 The crew is completing a 197-day mission. At an October 3 change-of-command ceremony, Feustel will formally hand over command of the ISS to crewmate Alexander Gerst, KF5ONO, of the European Space Agency. Gerst, Serena Auñón-Chancellor, KG5TMT, and Sergey Prokopyev will hold down the fort for one week until Nick Hague, KG5TMV, and Alexey Ovchinin launch from Baikonur Cosmodrome in Kazakhstan for a 6-hour journey to the ISS aboard the Soyuz MS-10 spacecraft, to round out the five-person Expedition 57. Tad Cook, K7RA, Seattle, reports: Sunspots finally returned on September 29, after more than 2 weeks with none. Average daily sunspot numbers increased from 0 to 9.6, and average daily solar flux increased from 67.9 to 68.4 over the September 27 - October 3 reporting week. Average daily planetary A index declined from 10.9 to 7.7, while average mid-latitude A index changed from 7.9 to 6.1. Predicted solar flux is 68 on October 4-18; 70 on October 19 - November 2; 68 on November 3-14, and 70 on November 15-17. 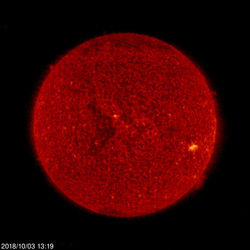 Predicted planetary A index is 8, 8, 5, 20, 20, and 12 on October 4-9; 15 on October 10-11; 8, 5, 12, and 8 on October 12-15; 5 on October 16-17; 10, 25, 14, 8, and 12 on October 18-22; 8 on October 23-25; 10, 6, 12, 8, and 5 on October 26-30; 8 on October 31 - November 2; 20, 35, 10, 18, and 15 on November 3-7; 8, 5, 10, 8, and 5 on November 8-12; and 5, 10, 25, 15, and 8 on November 13-17. Sunspot numbers for September 27 - October 3 were 0, 0, 13, 14, 14, 14, and 12, with a mean of 9.6. The 10.7-centimeter flux was 67.1, 69.1, 68.7, 68.3, 70.1, 67, and 68.4, with a mean of 68.4. Estimated planetary A indices were 7, 8, 10, 6, 9, 8, and 6, with a mean of 7.7. Estimated mid-latitude A indices were 6, 8, 9, 4, 6, 6, and 4, with a mean of 6.1. Share your propagation reports and observations. 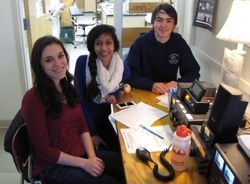 See the ARRL Contest Calendar for more information. For in-depth reporting on Amateur Radio contesting, subscribe to The ARRL Contest Update via your ARRL member profile email preferences. QEX -- A Forum for Communications Experimenters. Published bimonthly, features technical articles, construction projects, columns, and other items of interest to radio amateurs and communications professionals. Copyright © 2018 American Radio Relay League, Incorporated. Use and distribution of this publication, or any portion thereof, is permitted for non-commercial or educational purposes, with attribution. All other purposes require written permission.